What is it about a writer’s final posthumous work that so haunts us? Perhaps because it offers one last glimpse of mastery, or helps unify the writer’s oeuvre, or offers the gift of a parting embrace, we grant such a work special significance. But are we obliged to read such works differently than those that kindled our desire and affection when the writer was living? When the dead speak, should we judge what they say, or simply be grateful that they have spoken? 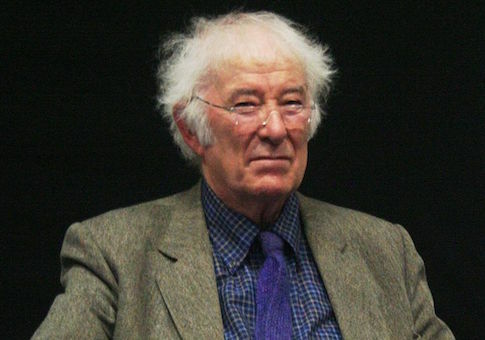 When Seamus Heaney died in 2013, he left behind a Nobel Prize-winning body of lyric poems, essays, and translations. Readers mourned the loss of his consonant-crusted music, his unflinching self-scrutiny, his evocative landscapes, and his deft handling of the religious and political conflict in Northern Ireland. Readers also mourned his geniality: by all accounts, Seamus Heaney was a good man, which makes criticizing his final work, a translation of Virgil’s Aeneid Book VI, feel a bit mean-hearted. But the book is not without its flaws, including a tendency to impose the muscular, consonantal style of Heaney’s Beowulf upon Virgil’s decorous and measured language, and an occasional lack of emotional force. Nor is it without merit: readers who long for Heaney’s particular music will find much to cherish. In the end, one is grateful for this last encounter with Heaney, but saddened that we embrace air, not flesh, just as Aeneas fails to grasp the ghost of his father Anchises: "Three times he tried to reach arms round that neck. / Three times the form, reached for in vain, escaped / Like a breeze between his hands, a dream on wings." Virgil’s Aeneid recounts the epic journey of Aeneas, a Trojan hero and son of Venus, from the fall of Troy to his conquest of the Rutulian tribes in Latium (Italy), which serves as a foundation myth of the Roman Empire. Aeneid Book VI begins with the Trojans’ landing at Cumae in Latium; follows Aeneas and the Sibyl, a priestess of Apollo, through the underworld, where Aeneas encounters mythical creatures like Cerberus and Charon, as well as ghosts from his life, including his jilted lover Dido, the queen of Carthage, and his father Anchises; and culminates in a roll call of the spirits of Aeneas’s future descendants, who await their birth as the future rulers and heroes of Rome. It is easy to see why, in his translator’s note, Heaney admits that this book had attracted him since high school: a youthful imagination would be charmed by the poem’s resonant mythological imagery, its moving dramatic encounters between Aeneas and the souls of the dead, and its complex cosmology, including a creation story in which we learn that "a nurturing inner spirit / Works to sustain sky, earth, the fields of ocean, / The moon’s bright disc and Titan’s star, the sun." To countries in the sun. And Heaney lends genuine warmth to Virgil’s lengthy speeches, most poignantly when the ghost of Anchises greets Aeneas: "At last! Are you here at last? / I always trusted that your sense of right / Would prevail and keep you going to the end. And am I now allowed to see your face, / My son, and hear you talk, and talk to you myself?" Often, however, Heaney’s poetic style is at odds with Virgil’s. Heaney’s sounds are drawn to alliteration as to a magnet; his diction runs deeply Anglo-Saxon; and his rhythms clump with the stresses of Beowulf. Thus, when he describes the Trojan fleet—"Anchors bite deep, craft are held fast, curved / Sterns cushion on sand, prows frill the beach"— we can’t help but see dragon-prowed longships rather than triremes. And when he describes the Fury Tisiphone, readers might be forgiven for picturing Grendel’s terrifying mother (not Angelina Jolie): "Vengeful Tisiphone keeps bearing down, a whiplash / Lapped and lithe in her right hand, in her left / A flail of writing snakes, scourging the guilty." Overhand of the oak and chimed in the breeze. But when the Sibyl first tells Aeneas of the golden bough, she says that it is "Sacred (tradition declares) to the queen of that place," a translation that completely omits Virgil’s subtle allusion to Iunoni infernae or Juno of the underworld, another name for Proserpina and a tacit reminder that the world of the dead follows its own laws. Heaney’s infidelities are often artistic choices, but they occasionally reveal unease with the poem, especially the final third, when the display of Roman rulers reads like a paean to manifest destiny. As a Catholic who immigrated to the Republic of Ireland to escape the Troubles, Heaney has always borne England’s history of conquest uncomfortably alongside his love of the English language. Thus, he says of Romulus: "Once he inaugurates the power of Rome, / She in her glory will push an empire’s bounds / To the ends of earth and harbor aspirations / High as heaven." In the original, Virgil claims that Rome’s aspirations imperium terris, animos aequabit Olympos, or, if my schoolboy Latin is right, ‘will make earthly dominion equal with the powers of Olympus’; Heaney’s choice of "heaven," however, suggests imperial ambitions are like the tower of Babel, and destined for a corresponding fall. Aeneid Book VI offers us one last chance to hear Heaney’s particular music, played on the instrument of Virgil’s narrative. It is not a virtuoso performance, like Christopher Logue’s War Music, nor is it a faithful rendering in English of the poetic style of Virgil, that ‘fountain of speech,’ as Dante named him. If, like Orpheus, Heaney has failed to return from the dead with the prize he sought, we can still praise him for the journey. But well he might have heeded the very warning the Sibyl offered Aeneas: "It is easy to descend into Avernus. / Death’s dark door stands open day and night. / But to retrace your steps and get back to upper air, / That is the task, that is the undertaking."